The SN2700 switch provides the most predictable, highest density 100GbE switching platform for the growing demands of today's data centers. 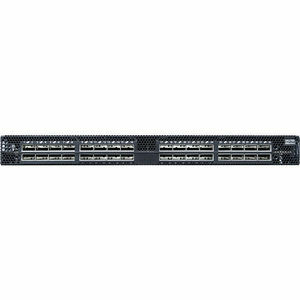 The SN2700 switch is an ONIE (Open Network Install Environment) based platform for allowing a multitude of operating systems to be mounted on it and utilizing the advantages of Open Networking and the capabilities of the Mellanox Spectrum™ ASIC. The SN2700 has three modes of operation. Itcan be provided preinstalled with MLNX-OS®, a home-grown operating system utilizing common networking user experiences and industry standard CLI. It can come preinstalled with Cumulus® Linux, a revolutionary operating system taking the Linux user experience from servers to switches and providing a rich routing functionality for large scale applications. Finally, it can be provided with a bare ONIE image ready to be installed with the afore-mentioned or other ONIE-based operating systems.